These are from the audience at the Stork Club show a few weeks ago (thanks, Colin). 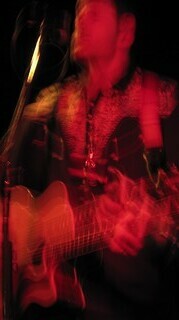 No, the camera/cameraman was not on acid; it’s just hard to get good photos in a punk rock club with an iPhone. After midnight. When there’s PBR involved. Just click the image (or click here) to see a few other interesting shots. Anyway, very good times. Already looking forward to the next one.